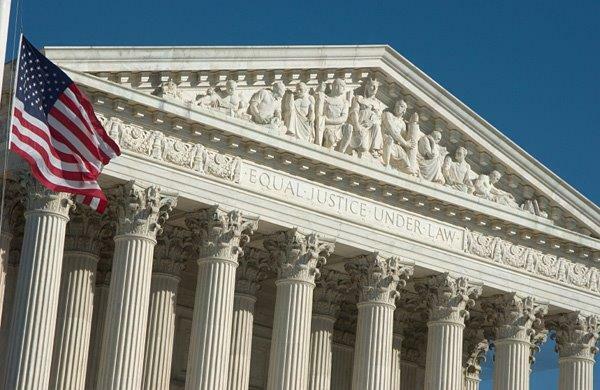 Regardless of one’s political views, the passing of a sitting United States Supreme Court Justice always has the potential to create major waves on the waterfront of federal law. But the recent death of Justice Antonin Scalia, in particular, could have significant implications for employers. There are currently several cases pending before the Supreme Court that raise important employment and labor law questions. The potential voting shifts that always follow a reconfiguration of the Supreme Court could impact the ultimate outcome of those cases. Whether wage and hour claims under the Fair Labor Standards Act (FLSA) may be properly certified as a class or collective action when proof of legal liability and damages is made by a statistical model, but individual class members have significant factual differences between them (Tyson Foods v. Bouaphakeo). The ultimate Supreme Court ruling on this question could make it significantly more difficult for employees to pursue large class or collective FLSA lawsuits, which could lead to a significant reduction in FLSA cases. The timing for triggering the statute of limitations on claims by former employees asserting discrimination under federal employment statutes and, specifically, whether the clock starts to run on the date of the last alleged discriminatory act or upon the employee’s separation date (Green v. Brennan). The ultimate ruling in this case could potentially cut-off some employment discrimination claims, because the employees did not pursue them quickly enough. Challenges to the contraceptive cost coverage mandate under the Affordable Care Act (ACA) that are being advanced under the Religious Freedom Restoration Act. The cases before the Supreme Court on this issue are follow up lawsuits to the Supreme Court’s noteworthy ruling in the Hobby Lobby case. In Hobby Lobby, the Supreme Court permitted for-profit companies to pursue religious exemptions from contraceptive coverage requirements under the ACA. Whether non-unionized public employees can be forced to pay for collective bargaining-related expenses of unions, or whether requiring this may violate First Amendment rights of those employees (Friedrichs v. California Teachers Association). The ultimate ruling in this case could be a significant economic blow to unions in the public sector. Employers should stay tuned both to the shifting Supreme Court reconfiguration and to the ultimate outcome on these important pending cases. Also, to answer a question that may be on many minds these days, in the event of a 4-4 tie at the Supreme Court, the lower court decision being appealed from stands but has no precedential value as a decision of the U.S. Supreme Court. In that situation, any ruling by the Supreme Court may provide interesting insight into the position of various Justices but would have no legally binding impact on employers. The Supreme Court also has the option, to avoid a tie vote, to hold over the case for a later term, after the Court is back operating with a full slate of nine justices.